Midway University’s Nursing Program is highly regarded and respected. Our nurses are sought out in the healthcare industry, many times before they even graduate. This is due to our knowledgeable faculty, high quality facilities and dedication to developing strong clinical skills in each student. Students who successfully complete the ADN program are eligible to take the National Council Licensure Examination (NCLEX-RN). Successful completion of this exam allows the graduate to practice as a Registered Nurse (RN). The undergraduate nursing program curriculum has a dual focus. Classroom theory emphasizes the technical and theoretical aspects of nursing. Concentrated, supervised clinical laboratory experiences allows students to practice skills at several health care agencies in Central Kentucky. The ADN program prepares students to become registered nurses and qualifies them for seamless transition into our RN to BSN program. Admission to Midway’s Associate and Bachelor of Science in Nursing programs is selective. Students hoping to begin nursing careers with a science degree should be aware that a certain educational background or preparation is important to assure admission to the nursing program. If students are interested in earning their BSN, Midway also offers a 4-year pre-licensure Bachelor of Science in Nursing program. How can an Associate in Nursing degree work for you? The Bureau of Labor Statistics estimates a 16 percent growth in Registered Nurse jobs between 2014 and 2024, an increase that is much faster than average. 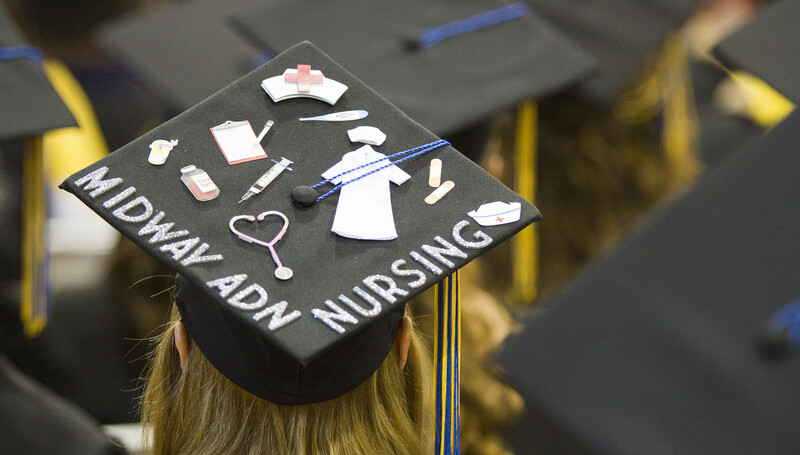 Our ADN graduates qualify for most any RN position. Examples of positions of recent graduates include staff nurses on Medical-Surgical Units, Cardiovascular, Neuro, Orthopedics, Labor and Delivery, Newborn Nursery, Pre and Post-Partum Units, Pediatrics, a variety of specialty Intensive Care Units including Neonatal, and Skilled Nursing Homes. Students who successfully complete the Associate Degree in Nursing and pass the NCLEX-RN may have a seamless transition into the RN-BSN program. Students must first apply and be admitted into Midway University. We offer a simple online application process. Create your account, submit all materials and track your application status conveniently online. Paper application forms are available for download if needed. Admissions Counselors are available to assist you with the application process and answer any questions you may have about Midway University and our programs. Give them a call at 1-800-952-4122 or email admissions@midway.edu. Complete your nursing application during the spring semester for possible admission to the fall semester. What are the admissions requirements for the ADN program? Admission to Midway’s Associate and Bachelor of Science in Nursing programs is selective. Students hoping to begin nursing careers with a science degree should be aware that a certain educational background or preparation is important to assure admission to the nursing program. Please review our full list of nursing admission criteria prior to applying. 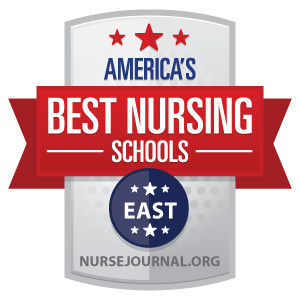 The nursing programs are accredited by the Accreditation Commission for Education in Nursing, Inc., 3343 Peachtree Road NE, Suite 850, Atlanta, GA 30326, 404.75-5000, Fax 404.975.5020 (www.acenursing.org). The Associate Degree Nursing Program also has full approval by the Kentucky Board of Nursing (KBN), 212 Whittington Parkway, Suite 300, Louisville, KY 40222, 502.429.3300, Fax 502.429.3311 (www.kbn.ky.gov). Visit Financial Aid for more details. Midway University works hard to provide quality degree programs at an affordable price for our students. Our online and evening undergraduate and graduate programs’ tuition is based on the number of credit hours taken each module. You can review our current credit hour tuition rates and fees online. Make sure you get the whole picture before making your decision. First, complete your FAFSA so you can see what financial aid you are eligible to receive and complete your application. Once you are admitted to Midway University, you can meet with our Financial Aid Office to discuss all the eligible aid (federal, state and institutional) that you have access to. This is the only way to figure out the true cost and if you will have any out-of-pocket expenses to cover. We also have specific resource information for military students. A full estimated cost list for the ADN program is available for download. Can I transfer credits from another school if I am accepted into this program? Midway University accepts transfer credits from regionally accredited institutions that are 100-level or higher with a grade of “C” or better. At the time of admission, our Admissions Counselors will provide an unofficial evaluation of your transfer credit. An official evaluation will be completed by the Registrar’s Office after acceptance. What support services are available for online and evening students? Midway’s Nursing Faculty are always available via email, phone, face-to-face meetings or Zoom web meetings to assist our students. Our job is to work with you throughout the program to ensure your successful understanding of the concepts and curriculum components. Midway University’s Student Success Center provides both Academic Support and Career Services resources for all Midway students. Academic Support includes one-on-one tutoring, small group tutoring and virtual (or online) tutoring. Workshops are held throughout the year to support student learning. Career Services resources are available to students, alumni and others within our community to help them gain relevant and practical career readiness training through education and experiential learning within internships, job shadowing, career counseling and strategic corporate partnerships. Don’t see your question here? Our admissions staff would be happy to discuss our degree programs with you and answer your questions. Get the conversation started by calling us at 800.952.4122 or by email at admissions@midway.edu. You will earn your ADN degree in 64 credit hours. Once students are officially admitted to the nursing program and begin their nursing courses, day students will complete the program in 2 years and evening students will complete in just 18 months. Nursing courses must be taken in the following sequence: NSG 115, NSG 120, NSG 210, NSG 225 and NSG 230, and a grade of C must be earned in each before progressing to the next level. Students will be required to take nationally-normed assessments, Assessment Technologies Institute (ATI), throughout the curriculum. The focus of the ATI assessment and remediation programs is to supplement course work and enhances preparation to pass the NCLEX-RN.